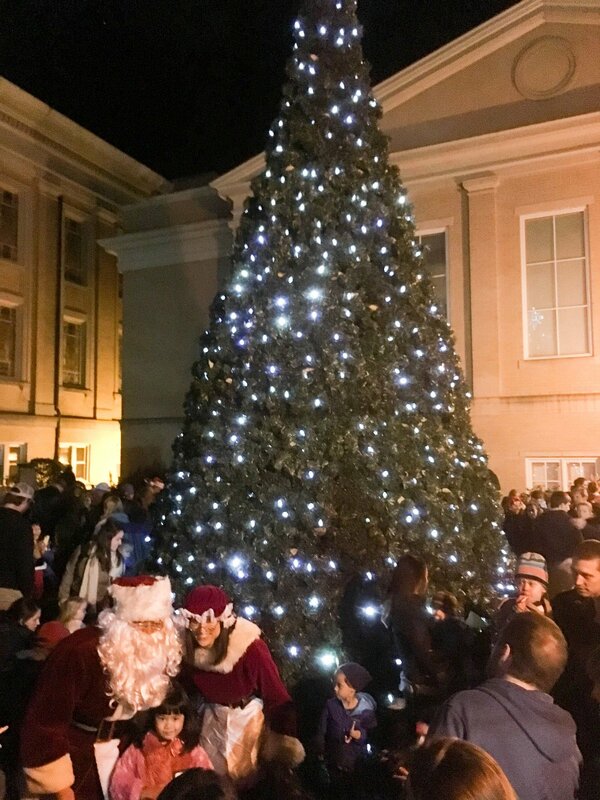 Downtown Chapel Hill kicks off the holiday season with a Community Tree Lighting Ceremony in the Memorial Garden of University Baptist Church; 100 S. Columbia Street, on Sunday, December 2 at 6 p.m.. Enjoy caroling by the church choir. Bring your camera too - children can meet Santa Claus and Mrs. Claus and have their pictures taken! Free and open to all. Public parking is free in downtown on Sundays. Visit www.parkonthehill.com for information and a map. This event may be cancelled in the event of inclement weather. We'll update our social media and website if that happens. For questions please call the Downtown Partnership at 919-967-9440. Support, discover, and patronize Black Businesses and Community Organizations from Orange, Chatham, Durham and Alamance Counties. Also, enjoy food trucks and entertainment. Everyone is welcome to attend! The Festifall Arts Festival, presented by Erie Insurance, is a celebration of local art and community in Downtown Chapel Hill. This year's festival will feature over 100 artists with work in a variety of mediums, including ceramics, jewelry, glass, metals, painting, photography, woodworking and mixed media, nine crowd-favorite food trucks, live performances on three stages, and an interactive kids' zone for the young and young-at-heart festival-goers. In addition, Susan Tierney, Artist Services Manager at the Durham Arts Council, will serve as our day-of juror for all artists this year; artists participating in Festifall have the chance to win $1100 in prizes and outstanding community recognition. Park on the Hill Kick-Off Party! The Chapel Hill Police Department (CHPD) is launching the long-awaited Lots to Love parking campaign with a party downtown on Sunday, April 29, from 1 to 4 p.m. at The Plaza at 140 W. Franklin St. The Lots to Love campaign gives the local community an opportunity to engage with Chapel Hill parking and learn about the latest changes to parking downtown. The upcoming event celebrates the new campaign with live music, free food, artwork promoting the Lots to Love campaign, games and yes – a raffle for free parking in downtown Chapel Hill for an entire year! A key component of the new campaign is the hashtag, #LotstoLove. Using the hashtag, people can capture their love for Park On The Hill on social media outlets. The celebration will include a live local band, family friendly outdoor games and free food! One Way Back Band, a local, six-piece party cover band, is excited to headline the party. The Chapel Hill Downtown Partnership is graciously providing snacks from Mediterranean Deli, a Chapel Hill restaurant serving fresh, authentic Mediterranean and Greek food. The CHPD team has even thought to have giant Jenga, blow-up bowling, bouncy houses and other fun activities! There will also be another big reveal to the Lots to Love campaign that will take place during the party. Join our community's cultural groups for music, dance, and other arts performances suitable for all ages! Our lively street party also offers a variety of international food offerings and other events. 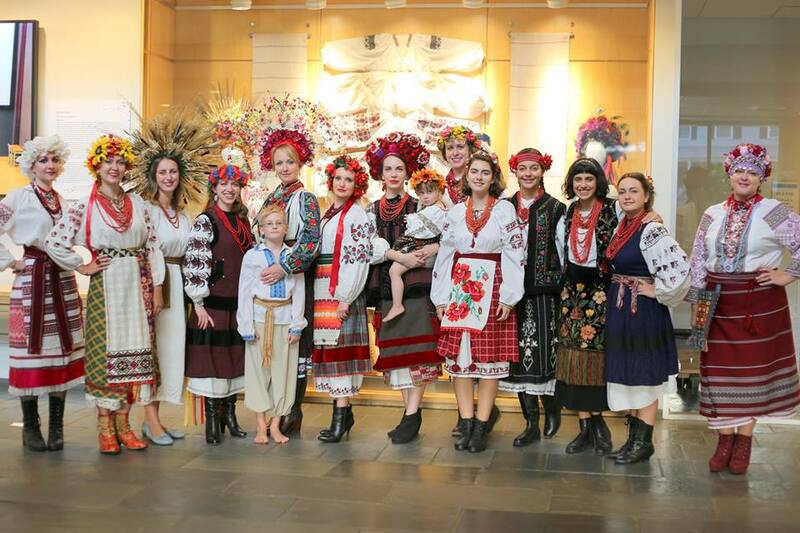 Be sure to visit our local celebration of global culture on Sunday, April 8th! Relish the festive display of the 14th Annual Gingerbread House Competition entries. Contestants from Chapel Hill and surrounding areas will showcase their creativity and imagination with their edible masterpieces this holiday season. Competition is open to amateur and professional bakers alike, with separate categories for youth and adults. Registration form is due Friday, November 11th. Due to space limitation, limited entries will be accepted. Gingerbread houses will be judged by our Executive Pastry Chef Sara Thomas. The winner will be announced on Wednesday, December 28th at 4pm on our Instagram, Facebook, Twitter, Google+ pages and at 12daysevents.com. And remember...parking is free on Saturdays and Sundays downtown during the month of December. For parking details, visit www.parkonthehill.com. Special Show on Thursday this week for Memorial Day Weekend! Kasey Tyndall has been taking the country world by storm and you have never seen her like this before. The 20-year-old has opened for stars such as Charlie Daniels, Kane Brown, Casey Donahew, and Parmalee just to name a few. The Greenville, NC native has played to sold out arenas, but is stripping down her show to perform as an acoustic duo in the Plaza. Country fan or not, you certainly won't want to miss this. LIGHT ART + DESIGN is pleased to present Alison Weiner of mahaloArts, joined by musicians extraordinaire Robbie Link and Beverly Botsford, in a one-night only improvised performance inspired by its current 4 Directions exhibit, featuring the work of Marguerite Jay Gignoux, A. Brooke Heuts, Harriet Hoover and Carolyn Nelson. This is the first time LIGHT will serve as a venue for a public musical performance. In April 2015, Alison led an improvising ensemble for the sold-out closing reception of MASKS AND MIRRORS at Cassilhaus Gallery in Chapel Hill, featuring the works of Mary Jane Rivers, Bryant Holsenbeck and Marcy Litle. The May 20th ensemble will take a similar approach, as the musicians bring their unique vocabularies into spontaneous conversation with each other. Live music in the exhibit hall deepens the experience of the visual art for all participants. The sketches are alive in the moment, and then they are gone, transformed into memories for those present. Unlike the physical art works, the process of the musical dialog itself is the result. This is the joy of improvisational music. The audience will be invited to participate in the conversations. The performance will be held at LIGHT on Friday May 20th, 2016 at 8:00pm. A limited number of tickets are $20, available online at http://www.lightartdesign.com/shop/music or by calling 919-942-7077. LIGHT is located at 601 West Rosemary Street, Suite 110 (in the Greenbridge Building on the Merritt Mill Road side) in Chapel Hill. community impact! Won't you join them? Our spring benefit will be a light-hearted, fun evening filled with laughter. DSI Comedy will perform a hilarious improv show, we'll have a silent auction, drinks, and fabulous fare. Chapel Hill based Hudson & Haw are bringing poppy sweet folk tunes to the plaza this May. The UNC Chapel Hill trio are releasing their debut album in April and are causing a stir in the local folk scene. Come out for good tunes and great vibes! Free Comic Book Day at Chapel Hill Comics! Join Chapel Hill Comics for Free Comic Book Day on May 7, 2016! We will be open from 10-9. We will have tons of free comics as always along with TWO artists doing free sketches! Warren Wucinich (Invader Zim) and Billy Fowler will be on hand to create drawings of your favorite characters. During the day we will be conducting drawings for many prizes like gift certificates, trades, toys and more! Get out here and have some fun! Its bike week! Wheel over to Live and Local to hear the East Chapel Hill School Ukulele Orchestra perform tunes in honor of our two-wheeled friends. See them perform here and get ready to hear strumming that will transport you to your favorite beach. This year in conjunction with the Preservation Chapel Hill, a special needs class at Carrboro High School has been engaged in a year long local history project. Students have worked with community members to learn about the local history of area businesses. With support from the Public School Foundation via a Strowd Roses Grant, work will be exhibited during the month of May at Preservation Chapel Hill. The "Sense of Place" exhibit will showcase student work including historical summaries, 2-D and 3-D artistic representations and music. The show is set to open on May 1 and will be on exhibit through the month of May. Join us for the opening of a 4 Directions - a show featuring work from Marguerite Jay Gignoux, A. Brooke Heuts, Harriet Hoover, and Carolyn Nelson. Got that dancing fever? Live and Local is excited to present a slam-packed lineup of Triangle dance groups this Spring! Feel the beat with UNC Chalkaa and UNC Moonlight Hip Hop, get into step with the Carolina Irish Association and the Carolina Dancing Divas, swish and swing with UNC Flying Silk and the Bravo Dance Company! With such a diverse line-up of dance groups everyone is sure to get into the groove!